Calcutta capris. Classic fit sits slighty above the waste. 19" inseam. Fits slightly above the waist. 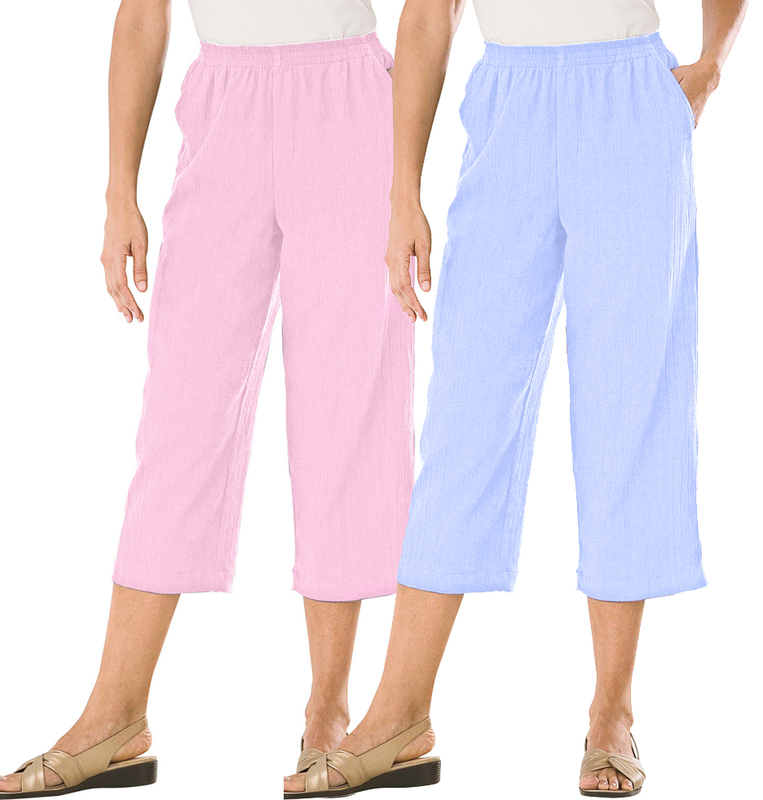 Elastic waist, pockets, hem slits. Polyester/Cotton. Machine wash. Imported.